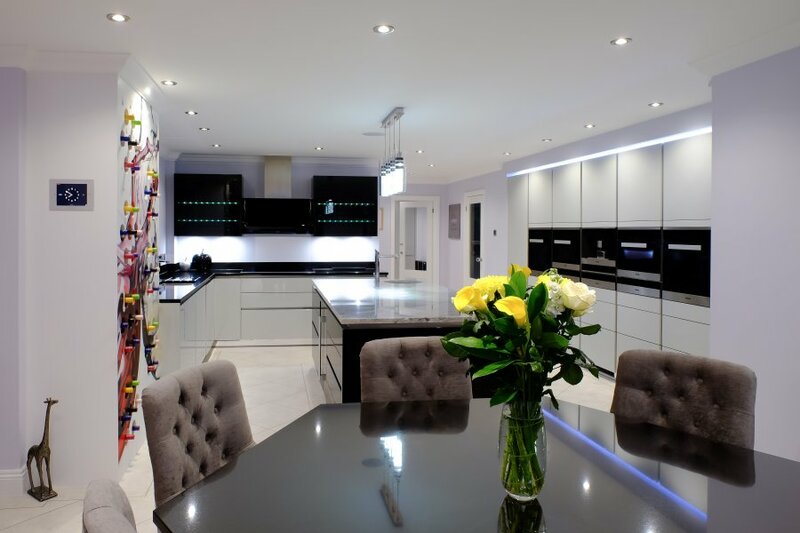 These particular clients were looking for a sleek handleless kitchen which made a statement. 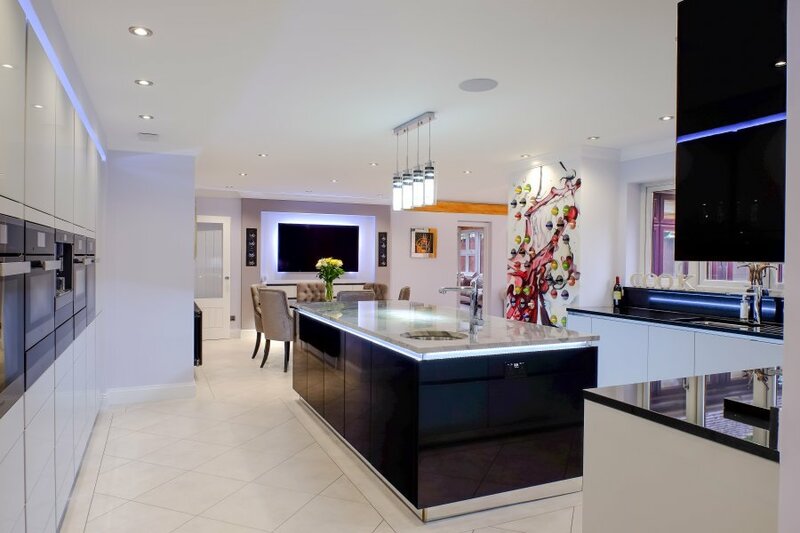 It had to be a well thought out space for cooking, dining & entertaining. 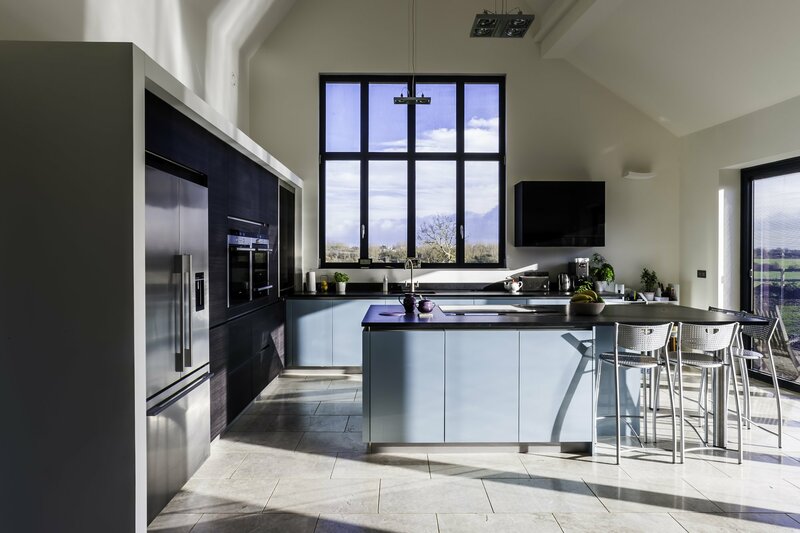 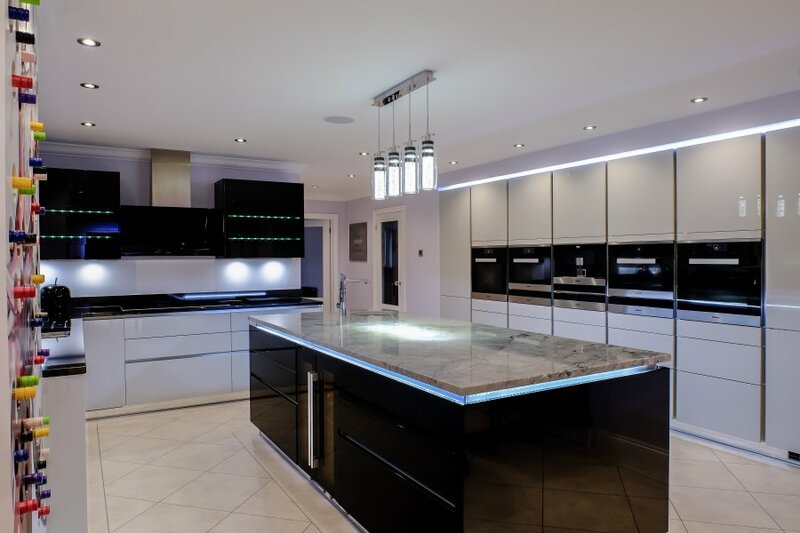 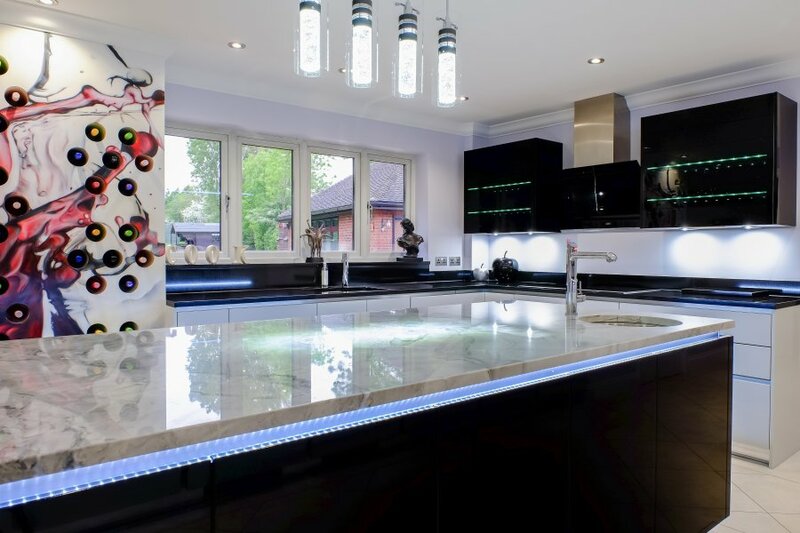 To create this modern kitchen we used high gloss lacquer doors in black and light grey, combined with contrasting worktops in ‘Super white’ and ‘Nero Absolute’ granite. 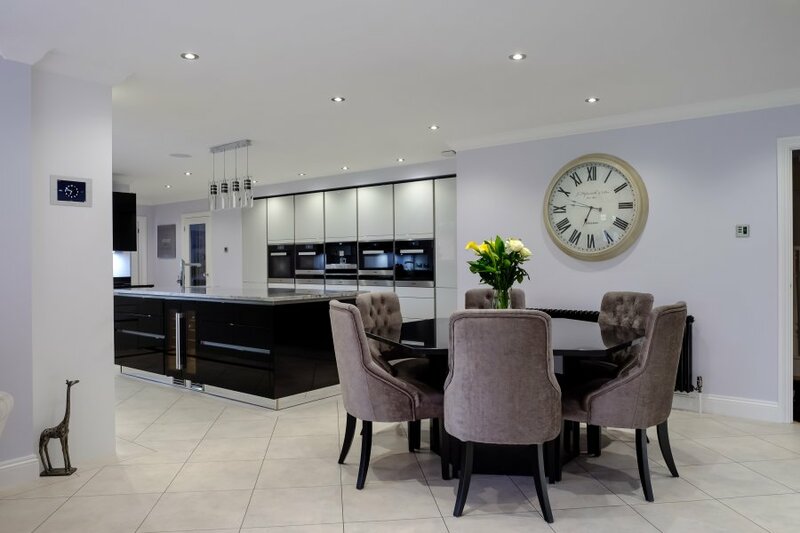 A bespoke hexagon shaped dining table was created using the same Nero absolute quartz to marry the dining area to the kitchen. 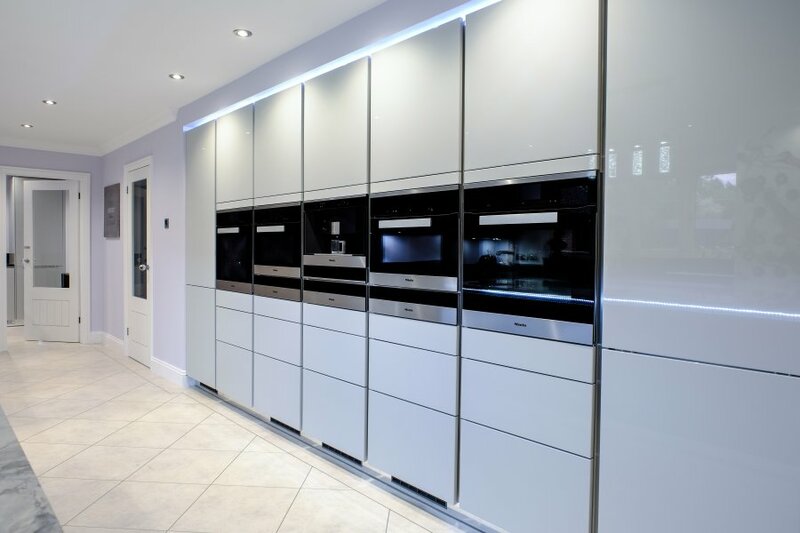 The state of the art Miele ovens are showcased in a tall bank of units, with a light feature above. 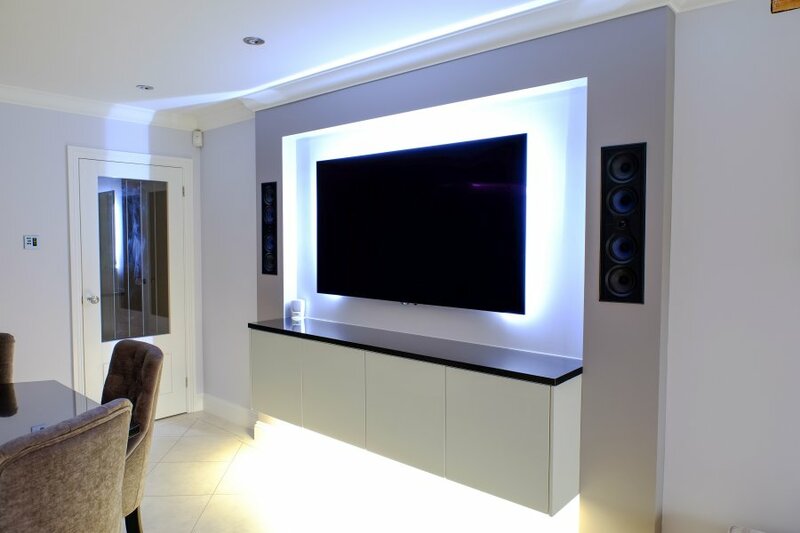 The same lighting design has been used on the back wall to frame the TV/media area, giving the appearance of floating units. 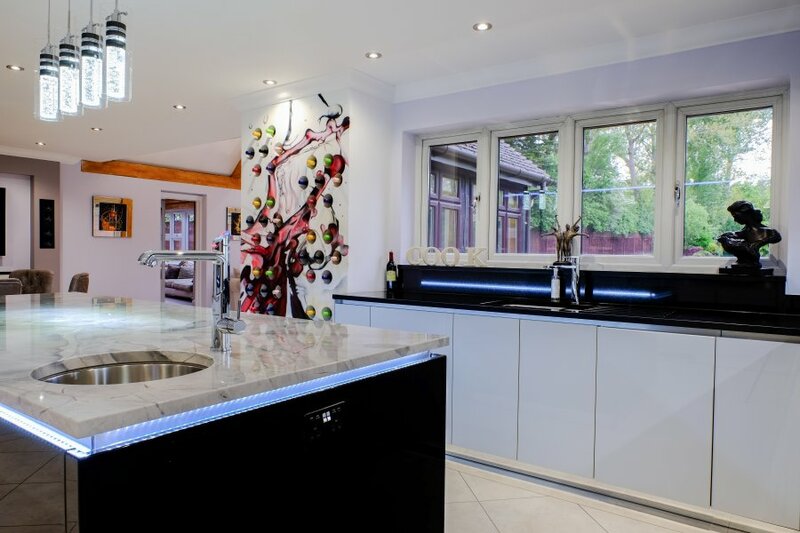 The biggest statement piece in this kitchen is the bespoke feature wine rack. 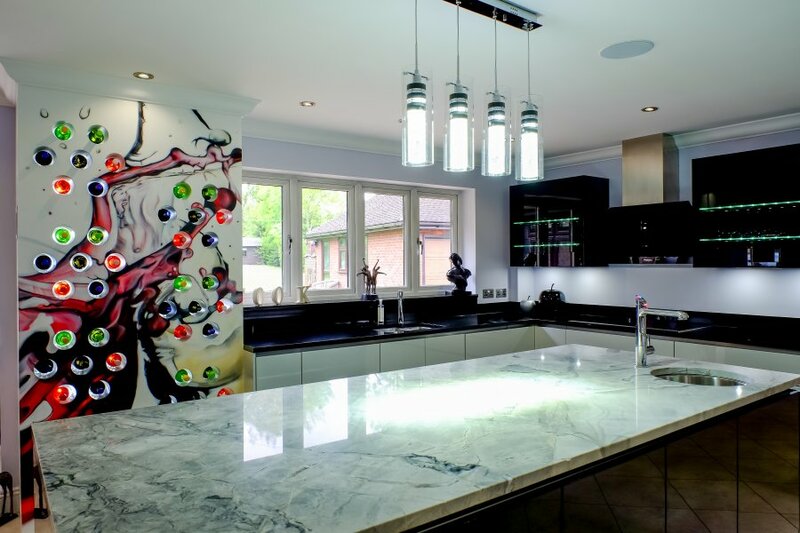 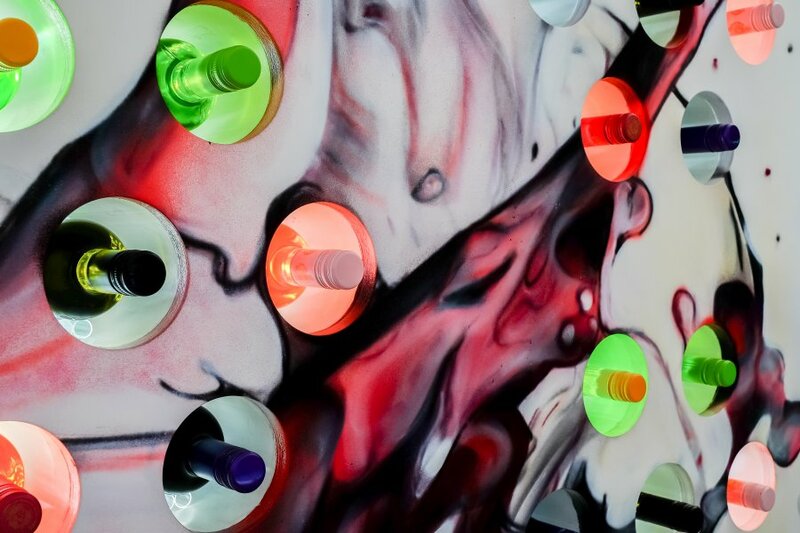 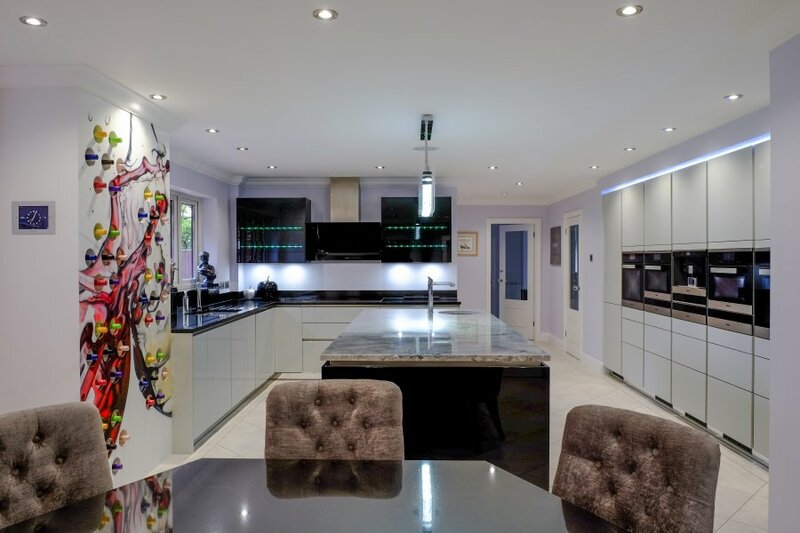 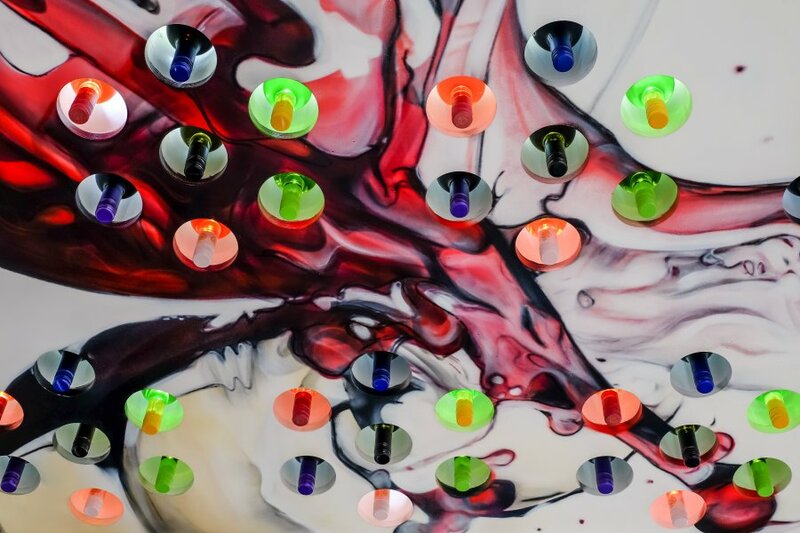 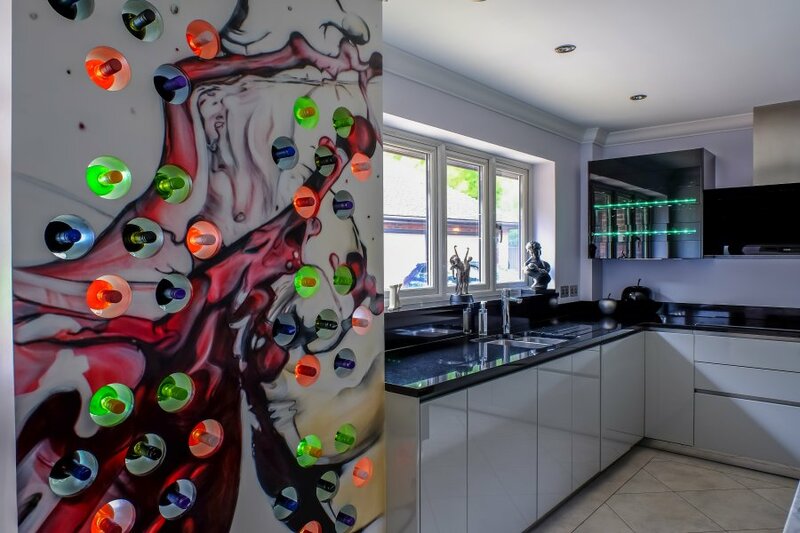 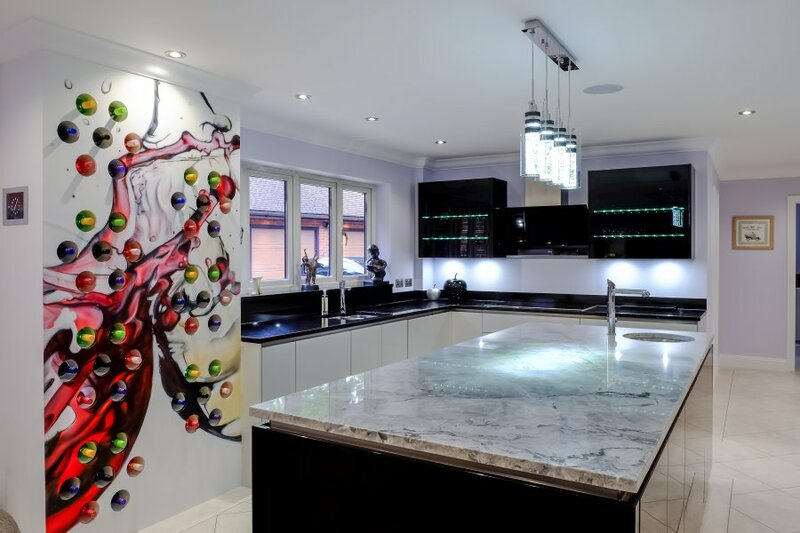 The clients wanted to add an artistic touch so a graffiti artist created a unique design on this exciting feature in their new kitchen.